“Diving Into Your Potential” was the theme for this year’s Career Exploration Week which was facilitated by the Director of Career Services, Dr. Joey Mitchell, on the week of September 4th through the 8th. The event provided opportunities for Alcorn students to familiarize themselves with professionals in a professional environment. Dr. Mitchell describes Career Exploration Week as a way to “help students identify potential careers and graduate or professional schools as they matriculate through school.” Students received this invitation very well as they came out each day to see what the 2017 Career Exploration Week had to offer. With Monday, September 4th being Labor Day, Career Exploration Week officially kicked off on Tuesday, September 5th at 8:00 am. Mock interviews, lead by Guided Transitional Counselor, Carey Butler, were held in the James L. Bolden Campus Union from 8:00 am to 4:00 pm. Employers from various companies such as Sanderson Farms, Cargill and Wal-Mart Distribution Center were in attendance to conduct these interviews. Students were expected to show up with at least two copies of their resumes in professional dress attire, they would then be interviewed and be given tips on how to better their approach when it comes to a job interview. Also on Tuesday, September 5th, from 6:00 pm to 8:00 pm the Sigma Chi Iota Honor Society (SCI), which is led by Dr. Mitchell, hosted a Mixer on the Plaza. Members of SCI handed out snacks, drinks and free T-shirts to the students present. In exchange for the T-shirt, members asked that students sign their names to acknowledge that they were aware of the upcoming events for the week of which they had been informed. There was quite a turn out for Thursday, September 7th’s event which featured employers from over 20 companies such as Trustmark, CISCO, CVS and the Dallas Police Department. Students were expected to be dressed professionally as they could be offered a job or an internship on the spot.This was an opportunity for students to gain contacts and build relationships to enhance the chance of getting hired after college. 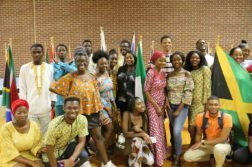 The week’s events were wrapped up on Friday, September 8th by the Youth and Motivation Task Force (YMTF) which met in the Ray Johnson Auditorium from 10:00 am to 12:00 pm. 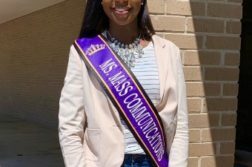 The YMTF is a group of alumni and respected individuals in various career fields who stand to assist the students of Alcorn State University with real life experiences and advice. Overall, the 2017 Career Exploration Week was a success. 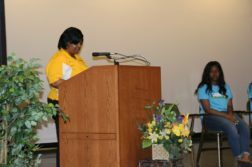 Students were given the opportunity to branch out and receive information on their interest as they pursue their education. For more information about career opportunities contact Dr. Mitchell at jmitchell@alcorn.edu or (601) 877-6324.